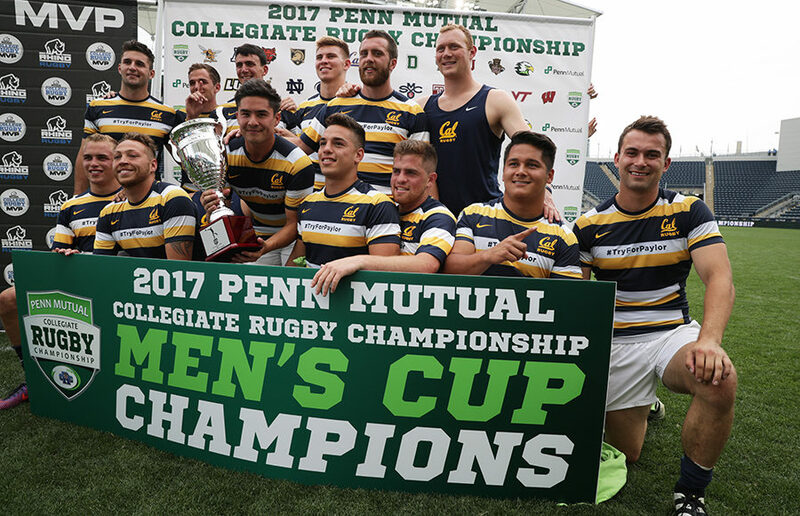 Cal rugby captured the CRC 7s Championship in an impressive 19-0 win against Life University with freshman standout Sam Cusano notching the tournament’s MVP honors. Cal kicked off its weekend with a clean sweep of Clemson, Penn State and Delaware on Saturday. Backed by a strong outing from PAC Player of the Year and team captain Russell Webb, the Bears beat the Tigers, 33-12. Webb went four of five on conversions with a try for the Bears. Junior Jake Goena, senior Connor Sweet, Cusano and fifth-year Patrick Barrientes each scored a try for Cal as well. 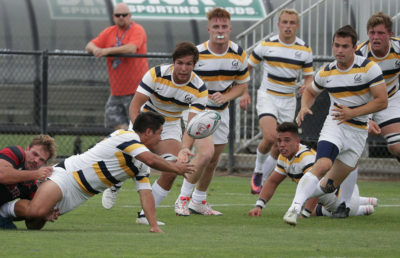 The Bears maintained their winning ways in the next match against the Nittany Lions, 28-12, led by two tries from Goena. 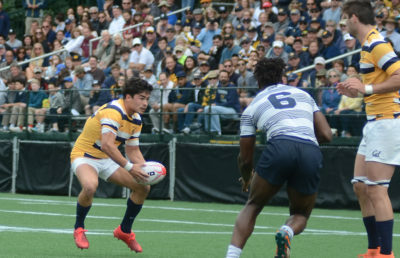 Webb continued his sound play and Cusano provided the exclamation point for the Bears’ win with a try that displayed a combination of speed plus vision. Cal ended pool play against Delaware and unleashed its offensive juggernaut in a dominant 54-0 win. Webb once again showed up big for the Bears and helped ignite the team’s high-scoring display with one try and a seven for eight mark on conversions. Webb was accompanied by juniors Aidan Flynn, William Fuller and Zachary Tavenner as well as freshman Christian Dyer and fifth-years Anthony Salaber and Barrientes in catalyzing Cal’s barrage of offensive scoring. One of the most vivid highlights of the match versus Delaware was a connection between Tavenner and Dyer. Tavenner passed to Dyer, who then took off like a freight train to grant the Bears their final try of the first half. On Sunday, Cal started off with a 19-10 win over Kutztown in the quarterfinals which featured a pair of tries from Tavenner and one from Flynn. Cal was up 12-5 at halftime, but Kutztown scored a try to make it a two-point game. Tavenner sealed the deal with another try to put their opponent away. The Bears went on to defeat Indiana 29-14 in a semifinal matchup to secure their place in the championship game. Cal led 12-7 at the end of the first half. Barrientes provided some breathing room with a late try set up by Webb, who showcased his superb footwork to put the Bears up by five. The Bears opened up the second half with a Webb try in which he swiftly worked his way through the Hoosiers’ defense. Indiana was able to score again in the period, but it was too little and too late as the Bears got two more tries from Cusano and Fuller to give them a sizeable lead. The championship game featured an intense matchup with the Running Eagles. Cal’s first try did not come until the late moments of the first half when Barrientes passed to Cusano, who then tossed it off to Sweet for a score. 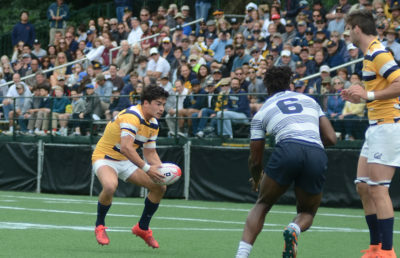 Up 7-0 into the second-half, Cusano led Cal’s efforts to bring home the title for the Bears, scoring two tries in the final, both of which were made possible by solid passing from his teammates, who opened up his space to operate on the outside. “We were proud of our defense today (against Life),” Clark said. “Once we got a few points on the board, it was hard on them and they had to press a little bit and they had a couple mistakes”. This title marks Cal’s fifth straight CRC 7s championship and 33rd overall in the team’s history between 7s and 15s, a testament to the rugby program’s sustained success. Ryan Groves covers rugby. Contact him at [email protected].